Pau Gasol has seemingly showed he has nine lives with the Lakers, staying on the franchise he loves despite demoted roles and endless trade rumors. 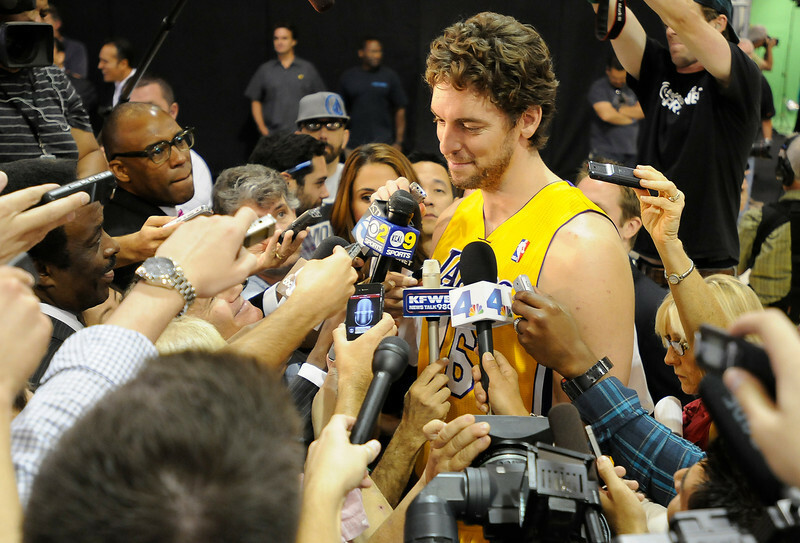 But even if Gasol arrived to Lakers’ media day on Saturday full of good spirits in having a chance to complete his fifth season donning purple and gold, there remains yet another hurdle he will have to climb. He reported at full health after having a procedures this offseason to treat the painful tendons in both of his knees, but Gasol has yet to complete basketball-related drills. Kobe Bryant walked gingerly across the Lakers’ practice floor, a sign that he’s both progressing surrounding his surgically repaired left Achilles tendon and eager for the 2013-14 season to start. It’s also a sign that, despite what a skeptical general public may think, Bryant remains optimistic about the Lakers’ championship prospects. When he’s not recording albums in the studio, Rapper Game has become a fixture at the Drew League, the Los Angeles-based pro-am league that features players from the NBA, college basketball, D-League, overseas as well as celebrities such as himself. Jayceon Taylor, who grew up in Compton, seems to embody everything regarding Los Angeles, ranging from sporting an L.A. star tattoo on his face, routinely sporting a Dodgers cap and appearing courtside at Lakers games. He also personifies most Lakers fans on a myriad of issues. He suggested good riddance to Dwight Howard leaving for the Houston Rockets. The Lakers continue to put the final touches on their training camp roster. They officially added 10-year NBA center Dan Gadzuric to a one-year roster at the veteran’s minimum worth $1.4 million, though it’s not yet clear if any of his contract is guaranteed. The former UCLA product spent the 2012-13 season playing for Marinos de Anzoátegui in Venezuela, averaging 10.1 point and 6.3 rebounds in 19.4 minutes through 30 games. After the Milwaukee Bucks drafted him 34th overall in the second round of the 2002 NBA Draft, Gadczuric has had various stints with Milwaukee, Golden State, New Jersey (now Brooklyn), Toronto and New York. He averaged 4.7 points and 4.4 rebounds in 14.8 minutes through 527 NBA games. The Lakers’ roster currently stands at 19 players, and it’s possible they will add another player before training camp starts Saturday. All NBA teams can hold a maximum of 15 players on their roster for the regular season. Very few times do the Lakers head into a season without the general public expecting an NBA championship. But with the Lakers beginning training camp today, plenty of intriguing storylines remain. Below are a look at the main ones. 1. How will Kobe Bryant’s recovery go? The Lakers haven’t offered a definitive timetable on when Bryant will return to the court after spending the past five months healing his surgically repaired left Achilles tendon. He’s still running on a weight-bearing treadmill and must progress toward basketball-related drills before taking the court. 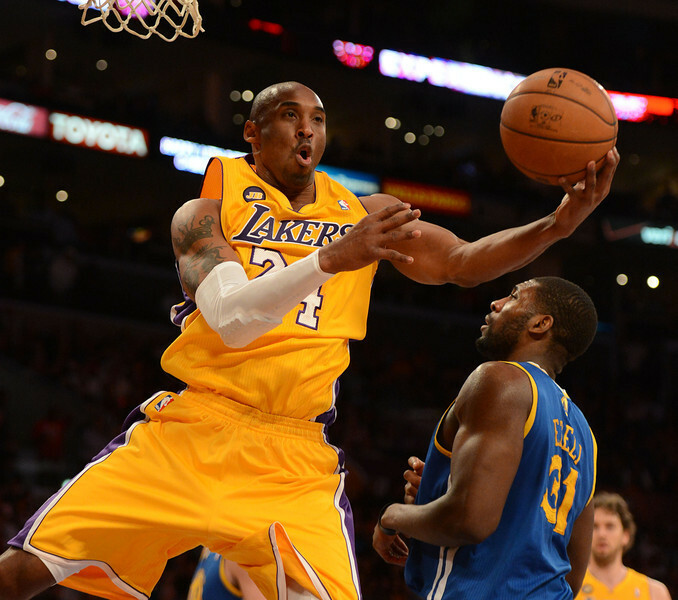 Don’t expect Bryant to practice in training camp, or many of the Lakers’ eight preseason games. 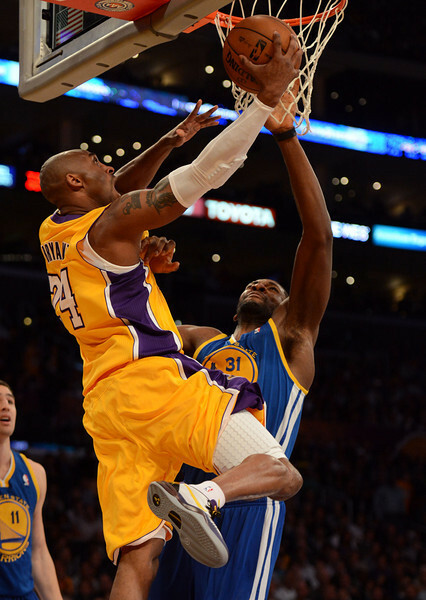 Knowing Bryant’s competitiviness, though, it’s possible he’ll return for the Lakers’ season opener Oct. 29 against the Clippers at Staples Center. He could’ve easily arrived just basking in his celebrity, but it appeared Kobe Bryant just wanted to get to work. Lakers’ training camp begins Saturday, but Bryant spent Thursday in Abu Dhabi as part of his Health & Fitness Weekend aimed to address diabetic issues. But the National, a Dubai-based newspaper, put together a video produced by Paul O’Driscoll showing that the Lakers’ star hosted a basketball clinic at the GEMS American Academy stressing one specific thing. 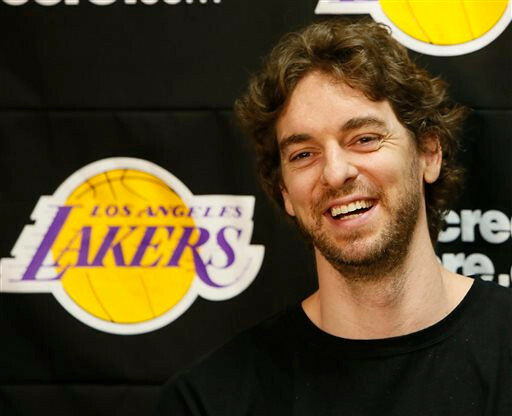 Pau Gasol recently stepped foot in Los Angeles in high spirits for reasons including a new season and a likely increased role. Gasol visited with Dr. Steve Yoon of the Kerlan-Jobe Orthopaedic Clinic Thursday for an evaluation after rehabbing this offseason the tendinosis in both of his knees. Gasol then turned to Twitter to deliver a positive assessment in 140 characters. Forget worrying about the Lakers’ diminished championship prospects, or whether they can attract top-level free agents next offseason. 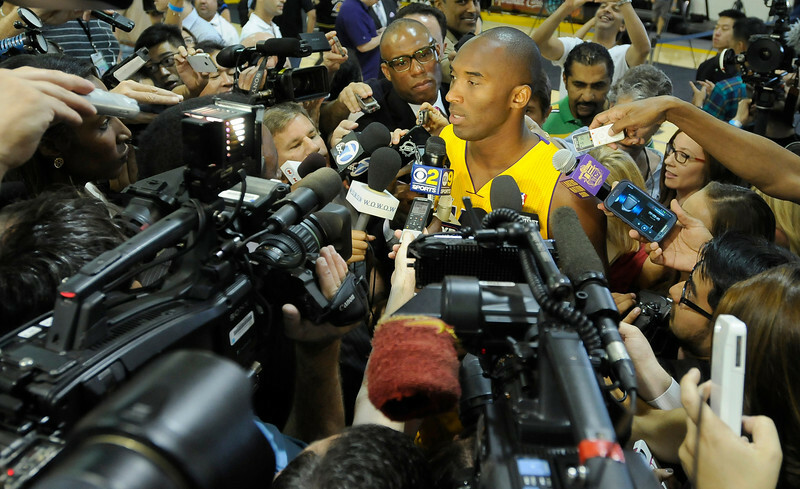 The Lakers’ most intriguing question entering this season involves none other than Kobe Bryant. After rehabbing his surgically repaired left Achilles tendon for the past five months, Bryant expressed his sharpest level of optimism that he will return for the Lakers’ season opener Oct. 29 against the Clippers at Staples Center. “Now it’s about cutting the recovery time, I should be OK [for the start of the season],” Bryant said in an interview with The National, a website in Dubai. The refrain played in the Lakers’ head after nearly every loss and every botched pass. The Lakers thought this plenty of times considering Nash sat out a combined 32 games, first because of a fractured left leg followed by hamstring and back issues. Without him, the Lakers’ offense hardly resembled the Mike D’Antoni system that Nash ran with perfection through four seasons with Phoenix. The Lakers no longer are worried about Nash’s health. Lakers general manager Mitch Kupchak described Nash as “100 percent” and has participated in the Lakers’ informal practices and scrimmages for the past four to six weeks. That’s good news for a team that became so saddled with injuries that Lakers trainer Gary Vitti described last season as “the toughest year for me” in his 30 years with the organization. But now that Nash has overcome his injuries, can he become the elite point guard that earned him two league MVPS and brought D’Antoni’s offense to life? There’s not enough fingers to count the sources aimed toward Mike D’Antoni ever since he patrolled the Lakers sideline. The restless fan base booed him, cursed him and constantly shared their preference for Phil Jackson becoming the head coach after overlapping injuries as well competing player and coach agendas contributed to first-round exit to the San Antonio Spurs. Dwight Howard and Pau Gasol griped about not getting the ball enough in the post, while Antawn Jamison stewed about not playing. Even Lakers president Jeanie Buss updated her recent memoir to share how the Lakers passing on Jackson “practically destroyed” her both because they’e been longtime companions and Jackson won five of his 11 NBA championships with the purple and gold. One party has remained incredibly consistent, however, in their support for D’Antoni. 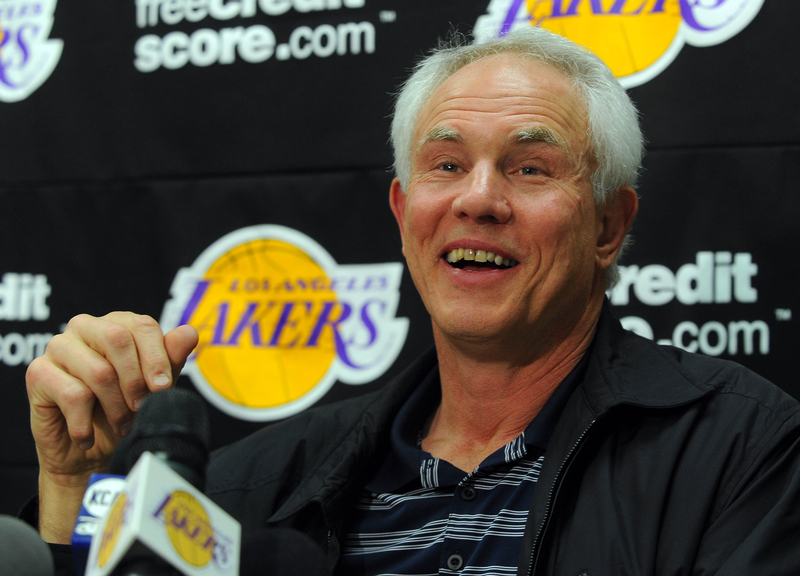 For better or worse, that involves the people determining D’Antoni’s future with the Lakers. “He has to realize, and I’m sure he does, that we back him 100%,” Lakers general manager Mitch Kupchak said Wednesday at the Lakers’ practice facility in El Segundo.